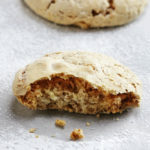 Recipe for Ladyfingers (Italian Savoiardi biscuits) comes from a German cookbook first published in 1988 (original title: Backvergnügen wie noch nie by Chrisitan Teubner). I have it for years and have made many recipes from it. I wanted to make this recipe the best possible so I bought large eggs because I thought it would be right (the recipe didn’t precise how large eggs should be). Oh, how wrong I was! 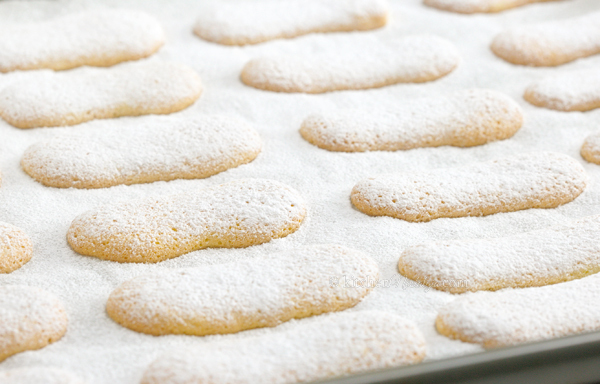 When ladyfingers were baking, they spread a lot and lost their shape. Next morning I bought medium sized eggs and this time my cookies turned out perfect. The only thing I added to the recipe was a teaspoon of vanilla extract. I think it gives them just the right taste. I wanted to test something out. 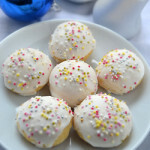 In half of the recipes I checked people sprinkle sugar on top of biscuits before baking, and other do it after baking. When sugar is added before baking, ladyfingers get this nice thin and shiny crust, just like store-bought. they also taste better because sugar somehow fuses with batter. 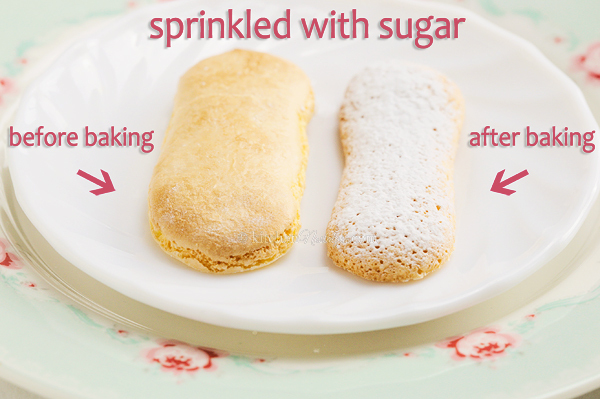 Sprinkling sugar after baking is also fine but I prefer the first method. 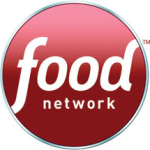 Ladyfinger cookies are essential when you make desserts like Tiramisu, they can be used instead of Nilla Wafers in Banana Pudding or trifle. 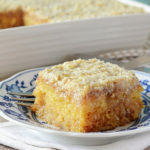 Basically, it is very similar recipe to sponge cake, only a bit thicker. Once baked and dried, Ladyfingers can be stored for quite a long time. 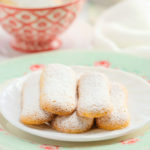 Ladyfingers (Italian Savoiardi biscuits) - homemade cookies essential for desserts like Tiramisu, Banana Pudding or trifles. Beat the egg white, then beat in half the amount of granulated sugar and cornstarch until the mixture makes a stiff meringue. 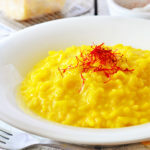 In a separate bowl, beat the egg yolks with remaining sugar and vanilla extract. 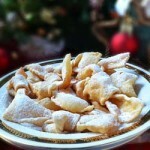 Fold in flour and beaten egg whites. Using a pastry bag with a plain 1/2 inch (1.3 cm) tip, pipe the batter onto the baking sheets. 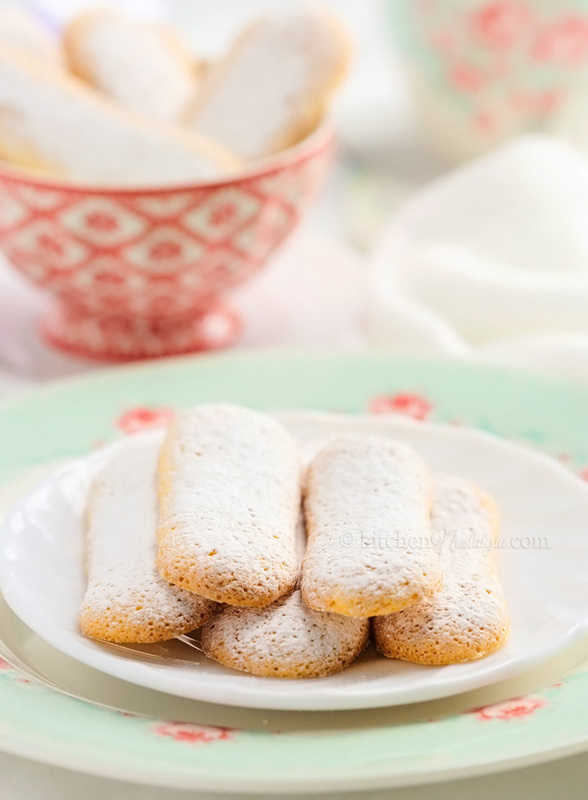 Sprinkle ladyfingers with powdered sugar. Bake 8-12 minutes in 200 C (390 F) oven, until the cookies are lightly colored. Allow them to cool before removing them from the paper. I don’t own a piper. Is there any other way if putting the batter to make the shape , or if I just want them for biscuits can I just use a spoon to make rounds? Ziplock bag, cut the corner off. 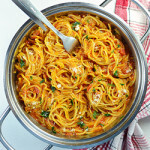 Another beauty from your kitchen. Thank you and have a nice day. Do you by any chance have the volume (oz. 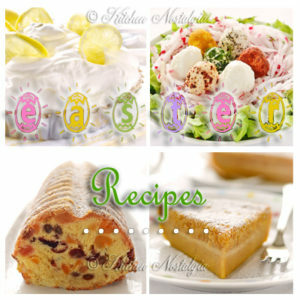 or ml) of the medium egg whites you used in the lady fingers recipe? I only buy extra large eggs due to fixed income (cheaper by the 2 1/2 dozen). I appreciate your consideration and I understand you may not have that information. My son had Tirimasu once and I keep trying variations of the recipe in the hope (vain it may be :0} ) I can replicate his memory of it. Homemade ladyfingers may do the trick. I very much enjoy your site many thanx. I used my digital kitchen scale to measure medium egg white. It is 1.15 oz or 33 ml. Oddly enough, large size eggs in Canada weigh around 50 g (or about 3 Tbsp in volume) without the shell. 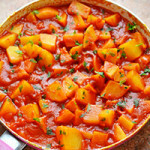 Thank you for posting this recipe, especially your comments. It’s been very helpful. I made a gluten free version of this recipe using large eggs. These were my adjustments: same amount of eggs (large), vanilla extract and sugar, 6 tablespoons cornstarch, instead of regular flour I used 1 cup gluten free all purpose flour plus 1/3 cup almond flour. The ladyfingers came out almost the same. The savoiardi stick more so they need to be removed from the paper while still a little warm. When folding in the two batters, do you mix half of each at a time or the egg whites firsts? My batter turns out lumpy when I add the flour add I don’t know how to avoid it. 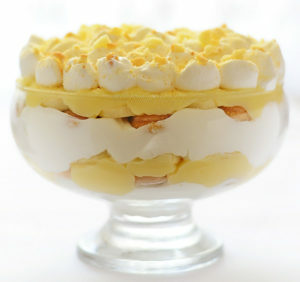 I put beaten egg whites (meringue) into the bowl with beaten egg yolks. Then I sprinkle flour over it. I take a spoon or spatula and gently stir everything together. Small lumps are OK, it does not have to be perfectly smooth. 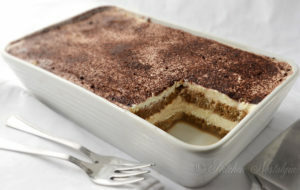 There is a danger of overmixing which knocks out air bubbles from the batter.